Though we are a small charter school thousands of miles away in California, each one of our students, teachers, and parents are your neighbors. 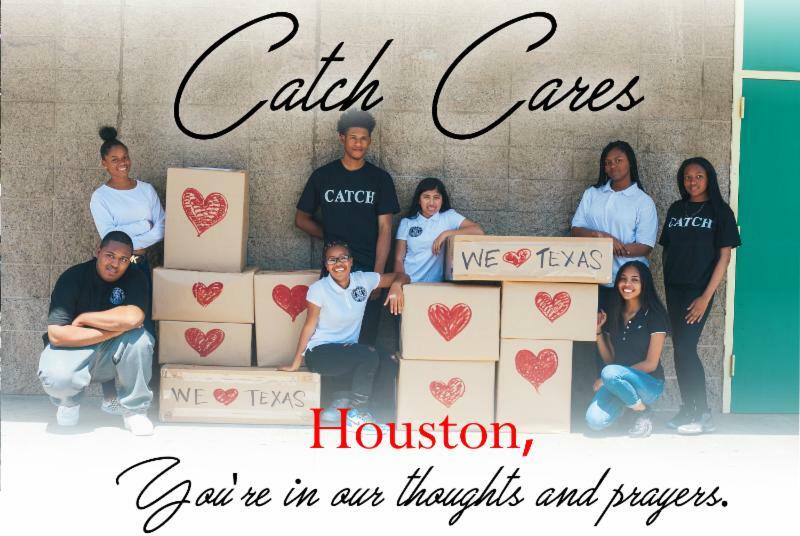 And just as we’ve watched and read about neighborhoods coming together all over Houston in the wake of Hurricane Harvey this past week, the very least we could do at CATCH is give you the clothes off our back. Inside these 10 boxes being delivered to the Houston Independent School District are our school uniforms for the year. The clothes are all brand new and have never been worn. We hope you find them useful. And dry. And a reminder that you have neighbors all over this country and world that love and care about your education, well-being, and everything you need to be successful in life. After the rain ends, we know that we’ll continue to hear your stories of bravery, selflessness, love, and achievement. And just as neighbors do, we’ll be there to champion your successes, and support you every step of the way. The bond between California and Texas is strong – like all of our united states, we stand with you always.